Simplesat allows you to customize the content on survey landing pages to make sure your customers receive the most appropriate message. Find the Landing Pages section of a survey you're creating or editing. You can use the defaults provided, or add your own customizations. 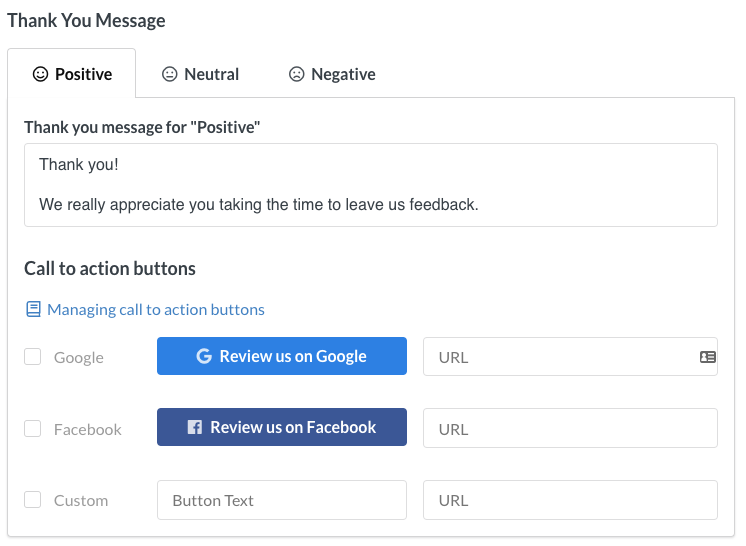 Both the Follow-up Question and Thank You Message allow you to use different content based on the sentiment of the rating: Positive, Neutral, or Negative. To preview how a landing page looks, you'll need to click on a rating from the survey you're editing.